This G.I. top load duffel bag is made of nylon cordura. It has a snap hook closure, a nylon web handle and adjustable shoulder straps. It is 36"x24". 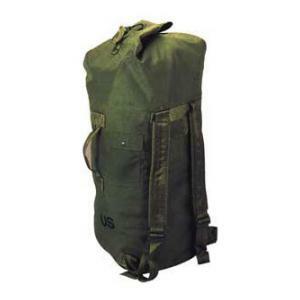 This bag comes in olive drab only.